When teaching social skills, it is important first to identify and define social skills that students need to participate successfully in classroom activities. Education takes place within a social environment. To be successful in school, students must demonstrate both academic and social competence. Students are expected to behave and act appropriately, make good decisions, and communicate accurately. All students can—and should—learn social skills. Students should be taught what is expected of them socially and behaviorally in the school and classroom settings. The first step to teaching social skills is to identify and define the social skills. Social behaviors are individual, discrete, observable acts that make up social skills. Social skills are specific, identifiable, discrete, learned behaviors that produce social consequences in social situations. Social skills can be viewed as part of a broader construct known as social competence, which is defined as a judgment-based evaluation by teachers, parents, or peers about an individual’s social functioning. Students need to know exactly what you expect them to learn. It is important to begin by identifying the social skill to be taught and then defining it. 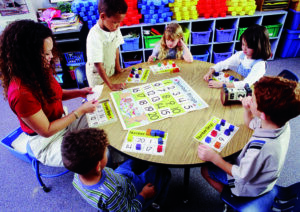 Review lesson plans and select social skills that are required for classroom participation. Without basic social skills (e.g., listening, following directions, asking relevant questions, sharing materials, waiting one’s turn, using manners), students may miss out on essential academics and be denied positive learning experiences with their peers. Select social skills that are developmentally appropriate for the grade level and performance abilities of the students. For example, young students are taught basic compliance skills, such as manners (e.g., saying “please” and “thank you”), listening, and following directions. Older students are taught social skills that require higher-level thinking skills, such as disagreeing appropriately, setting goals, solving problems, and showing empathy. Conduct a functional assessment of the student’s inappropriate or problem behavior and identify an appropriate replacement behavior. For example, if the student constantly engages in temper tantrums in response to not getting something that is desired, teach the student such social skills as accepting the answer “no,” dealing with anger appropriately, accepting consequences, or disagreeing appropriately. The notion is that when the student learns more acceptable alternatives, he or she may choose to behave more appropriately. Also, when identifying social skills, consider how some social skills are a prerequisite for other, more complex ones. Some skills must be developed first. For example, basic building block skills (e.g., listening, following directions, asking questions, communicating information, demonstrating good manners, seeking attention appropriately, waiting one’s turn) are prerequisite social skills for what is typically referred to as responsibility (e.g., sharing, cooperating, caring, helping). When identifying a social skill, do not assume students have mastered all prerequisite social skills. Otherwise, you may be setting the student up for failure. Conflict resolution is a perfect example. Too often, students are expected to solve problems and mediate their differences when they don’t even know how to relax and listen to one another. You must teach all subskills. Once you identify the social skill, define it. This entails breaking the skill into observable, measurable behaviors. The rationale for defining the steps is critical; students need to know your expectations. Simply saying you “want them to be a better listener” doesn’t tell them how to comply with your request. Telling them that they were “disrespectful” doesn’t tell them how to show respect. You need to be explicitly clear with students. You cannot assume that they already know how to behave according to your expectations and those of all others in the school. Say “please” when you want something. Say “thank you” when someone does something nice. Say “excuse me” when you bump someone or interrupt. Call people only by their first or last names. Raise your hand to speak when the teacher is talking. Let speakers know you are listening by looking at them, nodding, smiling, and asking questions. Wait your turn when others are talking. Stay in your personal zone. Offer to help people when working in small groups. Sometimes we might think that the student knows how to behave, and therefore we don’t need to take the time to identify the social skill. For example, you might say to yourself, “He should know how to listen by eighth grade,” or “She is old enough to know better.” Many students—particularly those at risk for developing behavioral and emotional disorders—may not be socially competent. Their social skill profile typically has strengths and deficits. It is your role to determine the deficits. As an important note, some students know how to behave appropriately but choose not to. For these students, it is not an issue of not having learned how (“can’t”) but rather an issue of “won’t.” However, too often it is assumed that students won’t behave appropriately when actually they can’t. When students are punished or excluded for something that they can’t do, an injustice is done. What’s worse, students tend to react to such injustices with anger. The goal is to help all students develop positive, adaptive social behaviors. In cases where a student has social skill deficits, you may determine if the student can’t or won’t behave appropriately. If students do not have the skills, your challenge is to teach them those social skills and support them as they make behavioral changes. This involves both teaching the social skill and providing behavioral management to students to help them stop behaving in inappropriate ways. For the intervention to work, you must directly teach the social skill and support the students in making the change. 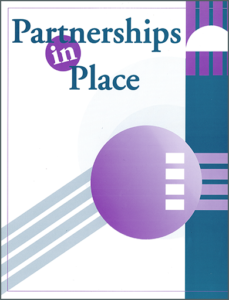 Partnerships in Place provides teachers with an approach to teaching social skills that includes three phases: identifying and defining the social skills, instructing, and evaluating.